Tell me a bit about yourselves and how you started doing pop-up dinner events. Leslie and Mark have about thirty years each in the food and beverage industry, and while we've never had a place to call our own, we've tried to create a number of unique experiences and tried to explore various food trends unavailable in our area. Call us insatiable, but we're experimentalists with a never-say-die attitude. We've done hotdog carts and lobster roll shacks, Greek dinners and Burgundian tables, whole hog bbq in South Carolinian style and izakaya bar snacks from Tokyo. We had a long running happy hour at the now shuttered Corkscrew in Urbana which featured Danish open-faced rye-bread sandwiches known as smorrebrod. We've also held a roving ramen pop-up for the last five years thanks to the generous hospitality of Black Dog Smoke and Ale House, Crane Alley, Bunny's Tavern, Cafeteria & Co., and Watson's Shack & Rail. What's your philosophy when it comes to food and feeding people? Not sure we have a "philosophy" per se, but Mark always thinks of the Yoko Ono piece which inspired John Lennon: Climbing a ladder and armed with a magnifying glass, the viewer looks at a small work posted on the ceiling which reads "YES". That positivity, and how that piece validates an effort on the part of the viewer, is energizing. We like to be as positive and open to experience as possible, always trying to come to the table or cookspace with fresh eyes. We'd also like our diners to join us in the journey, and hopefully give them moments of revelation and delight. Tell me the importance of locally sourcing ingredients in your menu. Sourcing locally is part and parcel of a "Small is Beautiful" economics, where we value shorter and more familiar chains of relationships. Knowing who the caretakers of our community and environment are and appreciating the labor that goes into our bounty, makes our work more fulfilling and feel better connected. We appreciate locally sourced foods as the result of a friend and neighbor's strenuous work and concern. This village-level thinking informs what we value from the outside of our small circle of production; so we trend towards the limited-production or family-run or sustainably-minded or personal-projects. 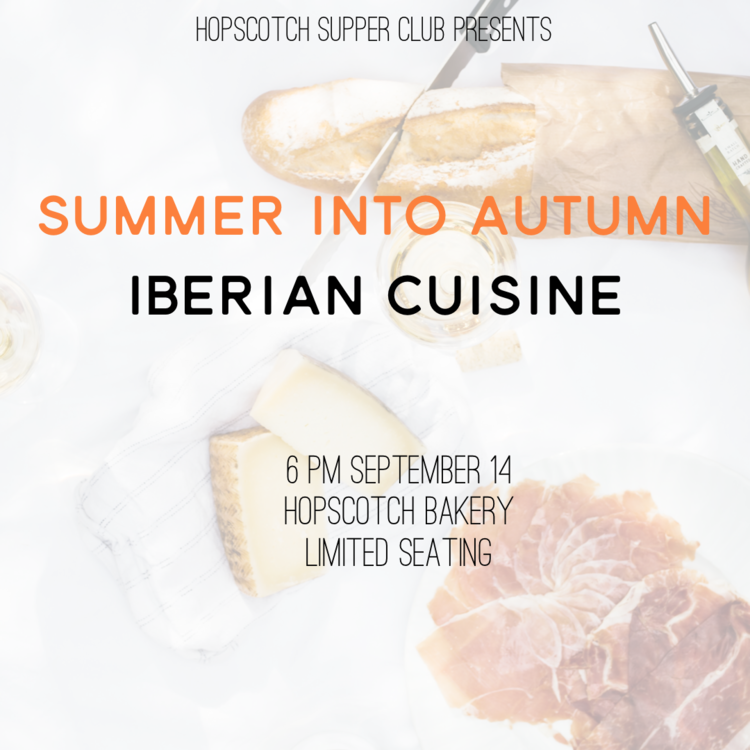 During the subtle and languorous transition of Summer into Autumn, we'd like to share our “flechazo” (love at first sight) of Iberian cuisine at our next installation.The dinner menu features a number of tapas, shared plates, and wines from Spain and Portugal, and (seafood aside) is once again aggressively local with produce sourced from Blue Moon Farm, Sola Gratia, The Seasonal Plate, Prairie Fruits Farm, Red Crib Acres, and others. Newer PostNew Goodie Alert: CINNAMON ROLLS!